To our awesome neighbours & the great folks at Ottawa Pet Expo and to Caneast shows, today I was forwarded some information that I found quite disappointing. I was alerted that the many tremendous no-kill non-profit rescue groups throughout Ottawa must pay, sometimes up to or near $400 with all costs included, to be included as vendors at the event. What shocked me however, is that they must pay the same rate as breeders for the same inclusion. I hope you see the tides are changing when it comes to animal welfare throughout this great province we share. More and more cities and municipalities are banning the sale of pets in stores, and the stores in turn are turning to these non-profit organizations to unite together in helping control our pet overpopulation problem. It can never be stated enough that these no-kill non-profit rescues are INVALUABLE to animal lovers and our four legged loved ones, yet they often operate on a shoe string budget, unlike many breeders who conduct business for profit, and often a very handsome one. It is my sincere hope that in the future you will, at no cost to them, permit these rescues to spread the word of the many animals that pass through their fosters and into the loving arms of new families. Your event will not suffer, in fact I can only see your reputation enhanced for taking such a grand public stance on the need to not only support and encourage adoption, but also the rescues and volunteers who work tirelessly for those who can not speak for themselves. 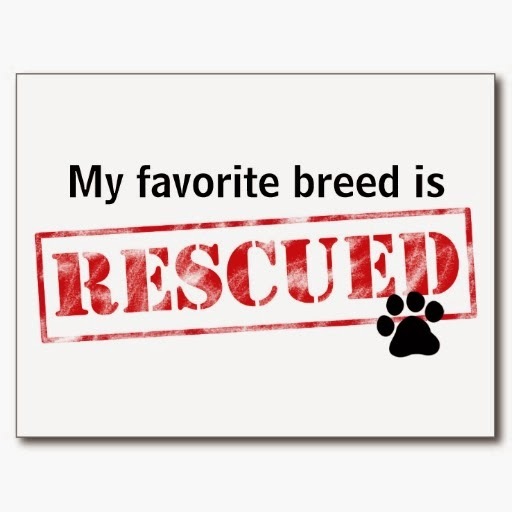 The rescues' work is priceless, there is no need to attempt putting a price tag on it. Thank you for taking the time to read my concerns, and with all sincerity the best of luck to you for what I'm sure will be a terrific event! If you are one of my many readers from the capital city, here are the details for the Ottawa Pet Expo.